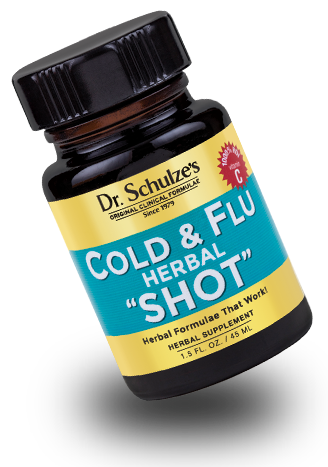 Stimulate your immune system so you can meet life head on and defend yourself against all that life throws your way! These days, everyone has a depressed immune system from being beat up, run down, and worn out by the stresses of modern life. Building a strong and powerful immune system is literally the antidote to the negative onslaught of modern living (especially life in the fast lane)! Meet life head on and defend yourself against all that life throws your way! Real Vitamin C! 99% of all Vitamin C products are made from toxic, synthetic ascorbic acid! 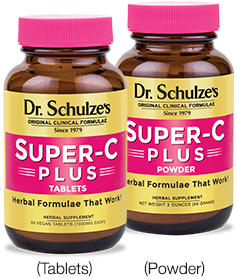 Dr. Schulze’s Super-C Plus is made using only 11 organic and wild-harvested herbs— with no sugar or chemicals—giving you over 500% of your daily Vitamin C and Vitamin C Complex. 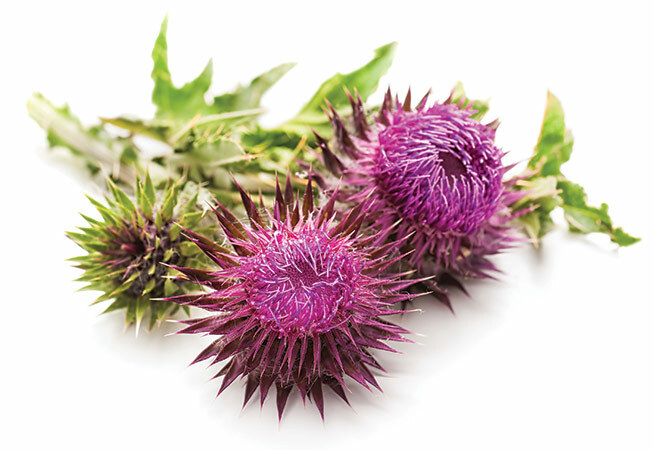 Dr. Schulze pre-blended his two most powerful formulas to strengthen your body’s natural defenses against seasonal attacks. 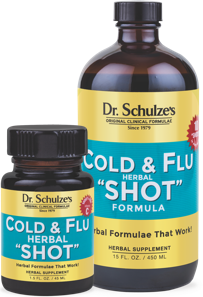 He combined Echinacea Plus and SuperTonic in one formula, and added many potent herbs and a large dose of acerola cherries to give you 1,000% (10 times) your needed Vitamin C—a powerful cold and flu fighting nutrient—all into one formula: Dr. Schulze’s Cold & Flu Herbal “SHOT”!